It’s been suggested Chelsea‘s squad is too small for them to compete on four fronts this season, but do the statistics back up the notion? 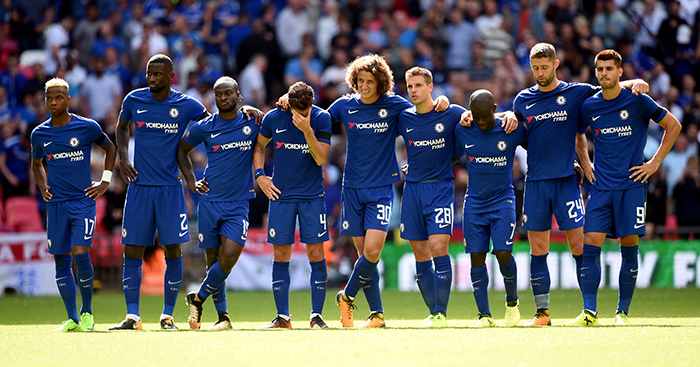 Frank Lampard and Gary Cahill both hinted at concerns about Chelsea’s lack of depth following the Community Shield, with the back of the programme for the game listing just 24 players in the Blues’ squad compared to Arsenal’s 41. It hints at a major flaw in Chelsea’s plan to defend their Premier League title, but Jose Mourinho and Arsene Wenger have both spoken in the past of the difficulties of having too many frontline players in a squad. The obvious place to start is with the Chelsea squad that won the Premier League title last season. And 24 just so happens to be the exact number of players they used on their way to the second highest points total in the competition’s history. Of those 24, one was Ola Aina, who played for a combined 23 minutes across three substitute appearances, while another was Ruben Loftus-Cheek, who made six substitute appearances but was still only on the pitch for half an hour in total. 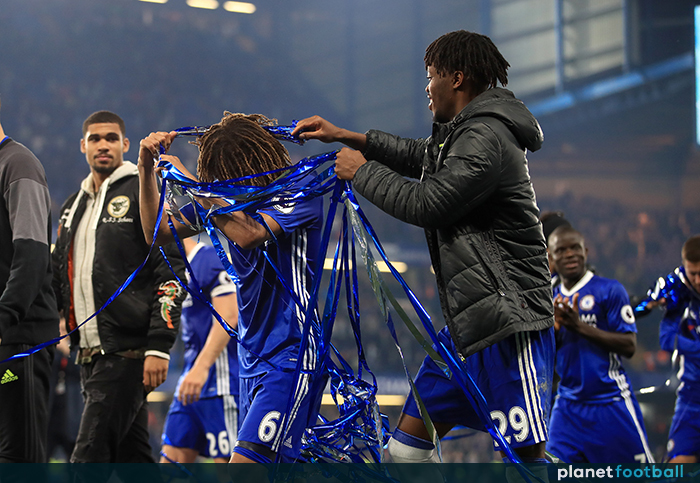 Furthermore, of the 22 players that actually started games, Nathaniel Chalobah, Nathan Ake, Kenedy and Michy Batshuayi all only did so once, in the penultimate game of the season after Chelsea had already secured the title. Kurt Zouma (3 starts, 6 sub appearances), Oscar (5, 9), John Terry (6, 3) and Branislav Ivanovic (6, 7) were also peripheral figures, while back-up goalkeeper Asmir Begovic started only two games in the last month of the season. In total, only 16 players made 10 or more Premier League appearances for the Blues, putting a rather different slant on the idea that a first-team squad of 24 is not big enough to win the title. However, Chelsea played just 47 matches in all competitions last season and will face a far more gruelling schedule this time around. It seems reasonable to assume that Antonio Conte must plan for perhaps 10 extra games this season, with six Champions League group matches likely to be followed by at least one two-legged knockout-round match, unless it all goes horribly wrong in Europe. Having fielded strong sides in both domestic cups last term, Conte must be more selective when identifying his priorities this time around. However, even if he uses one or both of the domestic cups to rest his stars and give game-time to youngsters and fringe players, a frontline squad of 24 still appears to be slightly small compared to that of previous clubs to have won the Premier League while also competing in the Premier League. That said, in all of those cases, just like with Chelsea last season, that figure of 27 is swelled by a group of reserve and young players used extremely sparingly. Keeping a squad of 27 frontline players happy simply would not be possible, as Arsene Wenger explained last year. “You need competition, and competition exists if the numbers are not too short or not too big,” he said. “When the number is too big, there is no competition anymore and it goes against the interests of the team. So while the last eight title winners involved in the Champions League have used an average of 27 players in total in their Premier League campaigns, that figure is reduced to 20 when looking only at players to have made 10 or more appearances. Interestingly, Manchester United have provided the outliers at both ends of the scale, having used a high of 22 regulars on two occasions but getting by with only 18 in 2007-08. So what of Chelsea? While Conte might feel his first XI is starting the new season stronger than it finished the last, in terms of squad depth, Antonio Rudiger, Tiemoue Bakayoko and Alvaro Morata simply take the places of John Terry, Nemanja Matic and the soon-to-depart Diego Costa. Chalobah, Ake and Zurt Zouma have all moved on too, with Conte naming four academy players – Charly Musonda, Andreas Christensen, Kyle Scott and Jeremie Boga – among his 24 for the Community Shield game. Christensen in particular is tipped for big things, but even without him there are 20 proven senior players for Conte to choose from, exactly the amount recent history suggests is required. The Chelsea boss, however, like every other, will want to feel confident he has strong enough cover should an injury crisis ever occur. “In terms of quality we’ve certainly got that, and you just have to hope we don’t have too many injuries,” said Cahill, no doubt aware of how lucky the Blues were in that regard last season. According to physioroom.com, Chelsea lost the fourth fewest number of days to injuries, while only West Brom had fewer injuries which kept a player out for more than a fortnight. In contrast, Liverpool, who also had no distraction from their domestic commitments, suffered as a result of injuries. Only two clubs had more injuries over the course of the season, with their key players being affected at crucial times. Despite all the work that goes into injury prevention, they will never be eradicated. Jurgen Klopp said “it is just unlucky”, and if Chelsea’s luck runs out, Conte could have major problems. History suggests his squad may already be just about big enough, but don’t be surprised to see Chelsea increasing their numbers just in case. Can you name Chelsea’s 15 most expensive transfers in history?